City Nazim Syed Mustafa Kamal under Section 144 imposed ban on parking at nine roads of Saddar town yesterday. 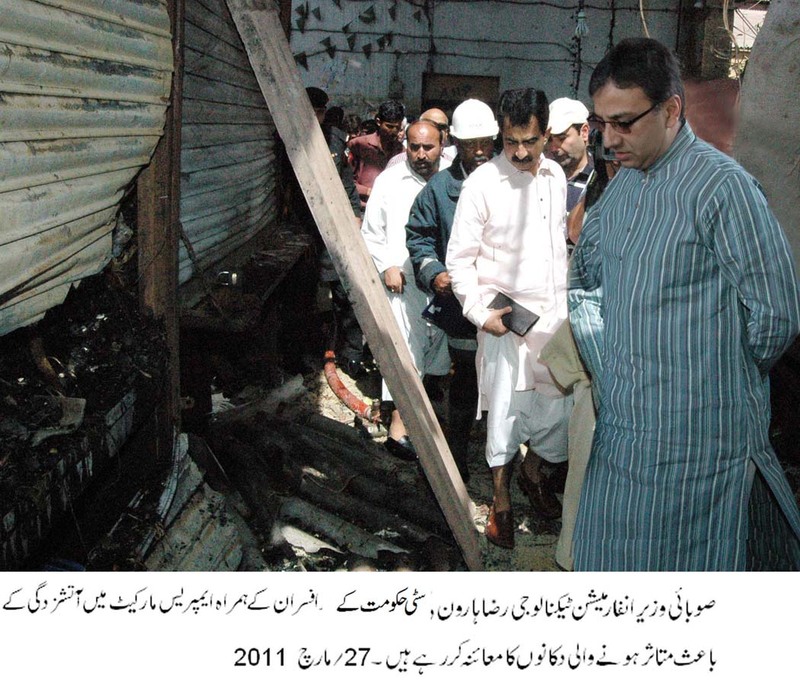 This step has been taking keeping in view the traffic problems or area in congested commercial areas of Saddar Town. City Nazim said that the parking on busy road one hand effects flow of and on the other leaves devastating effects on the environment. 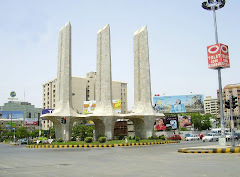 He added that keeping in mind the problems of the people of Saddar Town, the CDGK has constructed the first multi-storied parking plaza of Pakistan, so that citizens coming to Saddar Town could take care of their vehicles in a better manner and the traffic troubles could be avoided as much as possible. Following nine roads have been banned for vehicle parking: the Mansfield Street, Abdullah Haroon Road, Mir Karam Ali Talpur Road, Dr. Dawood Pota Road, Zaibun Nisa Strret, Agha Khan-III Road, Raja Ghazanfar Ali Road, Shahrah-e-Iraq and Preedy Street. City Nazim warned that the vehicle owners parking their cars on the above roads would be responsible for their losses. 1. 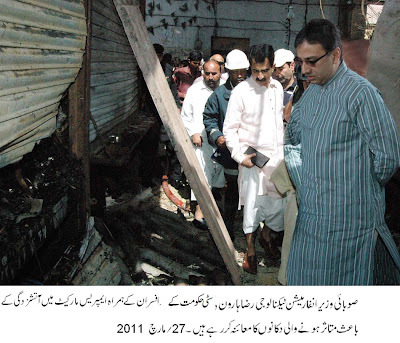 Lodging of FIR against the builder and contractor and their accomplices. 2. Government to order judicial inquiry and exemplary punishment to all those found responsible who connived in this heinous crime. 3. Government of Sindh / City Government should immediately provide alternate accommodation to all families which have been forced to vacate adjoining damaged buildings. KARACHI: Nazim Saddar Town Muhammad Dilawar has said that Haq Parast leadership believes to serve the citizens practically and the City Government has spent Rs. 30 billion in this regard to ensure regular supply of potable water to the citizens. There was no supply of water in town areas for the past sixty years but now the credit goes to the Haq Parast leadership of supplying the much needed potable water. He said this while attending a meeting with the officials of Water and Sewerage Board at town office. During the meeting, Nazim directed the concerned officials to enhance the performance of machines at various pumping stations to ensure uninterrupted water supply to the area and to be watchful that sewerage water does not mix with drinking water lines during construction works. Saddar Town is a small densely populated town in the central part of old Karachi. The word Saddar generally means the “centre” (of a settlement) and also “head” (of a group of people or an organisation). In Urdu, Saddar means “president” as in Saddar-e-Pakistan—the President of Pakistan. The town is bordered by Jamshed Town and Clifton Cantonment to the east, Kiamari Town and the Arabian Sea to the south and Lyari Town to the west.